Vets for Pets Victoria | Pet Clinic for low income and homeless in Victoria B.C. Vets for Pets offers free veterinary care to the pets of homeless and low-income individuals in the Victoria area. 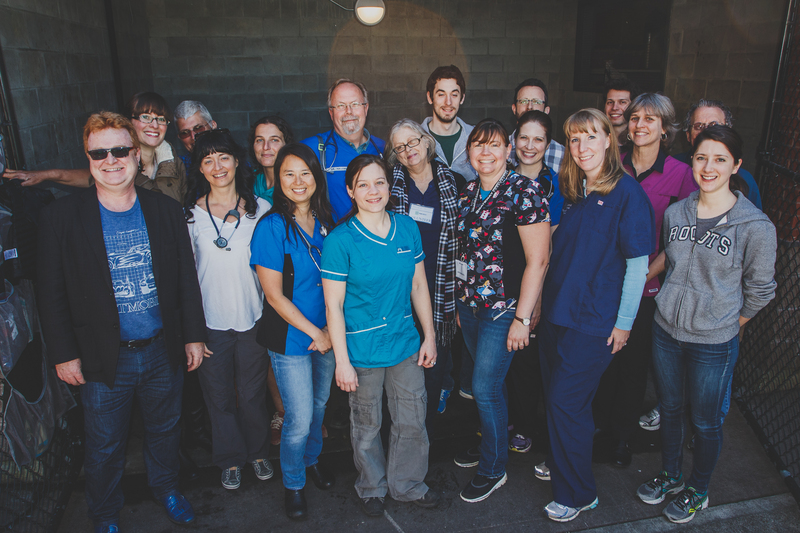 Our clinic is partnered with OUR PLACE SOCIETY at 919 Pandora Avenue, Victoria. Our Clinic dates will be Second Sunday of each month, Location: Our Place Society 919 Pandora, 2pm-3:45pm. Next Clinic: January 13th, 2019 – *No clinic in February*. Doses of flea control given out in the past 6 years! Clinics that volunteer their time. We have a number of volunteer vets, vet assistants, and others who come out to help with this worthy cause.